Understand where I have been? I really hope to be back. My nights are spent still trying to get this place organized! Last time I checked my google reader it said 1000+. I miss you guys. I will be back this week with a few updates of what we have been doing. 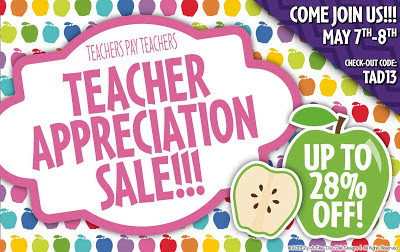 In the meantime, I wanted to let you know I will having a sale in my TPT store! All of my items will be 28% off! 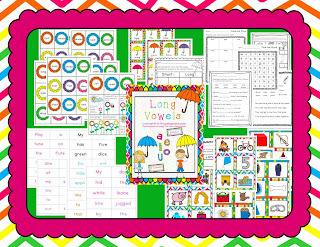 You also get 7 student activity sheets that include word searches, sentence completion, and lots of great review for the students. After completing each unit, I bundled them and placed them in my store with a 20% discount! Lots of my Kinder and 1st grade friends are throwing a sale too! Make sure you check out their awesome items! Also, I would love for you to leave me a comment and let me know you are still with me! I promise to be back on track!!!!! :) Missed you guys! Hi! Welcome Back! It's so hard to blog when life gets in the way. I'm having a linky party to show off all the goodies we have in our carts in preparation for the big sale. Check it out!